To take down the cult, players will need to utilise any and all weapons at their disposal, including ranged weapons such as guns and grenades and melee weapons like a sledgehammer or baseball bat. Additionally, players can recruit Guns for Hire from a large cast of characters, or even Fangs for Hire, specialised animals like bears and cougars to complement players’ playstyles whether they’re going in stealthily or forcefully. How players approach each situation and the chaos they create in Far Cry 5 is up to them. Far Cry 5 will also see the return of the map editor, giving players the opportunity to create and play an infinite amount of new playgrounds. The map editor will include new features that add a new dimension to the content created by fans, with more details coming soon. Releases on February 27th 2018. 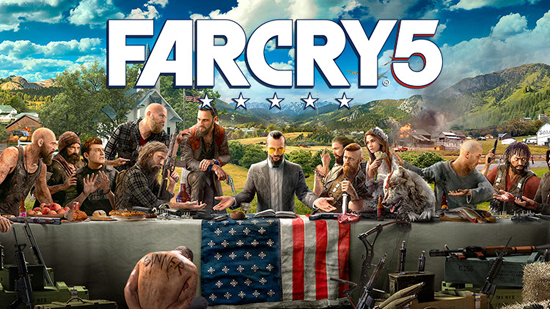 Development for Far Cry 5 is being led by Ubisoft Montreal.